With their crystal clear waters, unforgettable sandy beaches, beautiful palm trees, excellent surfing spots and some of the best diving spots in the world, islands in Asia are simply breathtaking. It is no surprise why millions of people travel to these islands throughout the year. These islands are the best option for people who are looking for relaxation and freedom outside urban areas. This is a short list of islands that you should visit in Asia. Two years ago, this paradise on earth was named the second best island destination in the world. One of the most notable attractions on this island is the so-called White Beach which is now filled with hotels, motels, bars, restaurants and stores which usually sell diving equipment. Thanks to its tradition, ideal sunsets and sunrises and interesting nightlife, Boracay is a place where you can find everything you need from your vacation. Ko Tao got its name because of the huge number of sea turtles which rest on its shores. 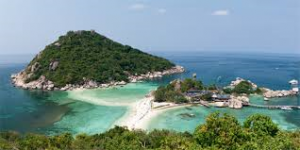 The island that is located in the south part of Thailand is becoming more and more popular every year. Take a break and spend a day on some of the many sandy beaches by drinking a cocktail and watching the sunset. Play with the fish and sharks and enjoy the coral reefs in various colors. Take a long walk and explore this mysterious island. Langkawi Permata Kedah is an archipelago that consists of 99 small islands located on the west coast of Malaysia. The largest island is Langkawi island which is now under UNESCO’s protection because of the areas that are rich rich in wildlife. The island is known for the excellent diving spots. Its clear waters, relatively untouched beaches and jungles will make you remember this place for a long time. This is the biggest island in Vietnam which was once known as a peaceful island inhabited by fisherman. Today, this is a very popular travel destination which is frequently visited by adventurers from every corner of the world.